Today’s Flash Back Friday comes from Episode 169, originally published in September 2013. 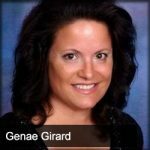 Genae was in her early 30’s and diagnosed with having a gene (BRCA) that leads to cancer. When she asked for a 2nd opinion, she was told that not only was Myriad the only company that could do the test, but even they would not retest her.